Here's something interesting for you. While speaking at an event in Santa Clara, California, co-founder of Apple Steve Wozniak stated that the "iPad is for the normal people of the world." Wozniak was speaking at the Storage Network World conference and made a clear distinction between his "technological audience" and the average consumer. According to Mr. Wozniak, it has always been the dream of Steve Jobs, current CEO of Apple, to create a computer that was simple enough for anyone to pick up and use "but it was hard to get there, because we had to go through a lot of steps where you connected to things." If you were one of the few that tried diligently to set up a wireless network about 5 to 10 years ago, then you can most likely attest to this. The iPad is one of the few computer-like devices members of an older generation enjoy using and a device that a lot of people primarily use instead of a laptop or desktop computer. There is also the incredible story of the 100-year old woman who was absolutely tickled with her first ever computer purchase, a first-generation iPad. What is interesting is that a lot of the numbers for the iPad go against users like the ones mentioned above. A survey conducted in November 2010 found that only 28.9% of respondents indicated that the iPad was their primary computing device. While that is a nice number, it still suggests that the majority of iPad owners use the device as a secondary piece of technology. Another study conducted in December of 2010 found that the average iPad owner is a college-educated male, 48-years old, with an earning of more than $100,000 per year. You cannot say that this is the normal picture of an American with 75% of the population earning less than $50,000 per year and women make up little more than half of the population. Then again, the iPad has only been around for a little more than a year. Global adoption, especially among demographics that are traditionally slow-moving in terms of picking up new technologies, will take some time. That is why it makes a little sense that the owner statistics of the iPad are more indicative of what constitutes an early adopter as opposed to what constitutes the iPad's actual target market. Sure, Mr. Wozniak may be over-generalizing when he says that the iPad is for the quote "normal" people of the world, but it still represents the closest attempt yet to make computing easy enough for those who do not have extensive experience with using computers. The price of entry for ownership is also on the low side for not only tablets but also for computing devices in general. 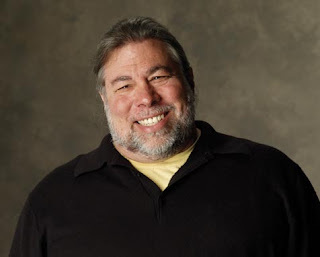 We can probably expect Mr. Wozniak's view of the iPad user to become more true as Apple continues to make computing easier for everybody. Source: Gigaom - Apple Co-Creator Says iPad is a Computer for "Normal People"
File Server rentals are ideal if your company needs an extra storage unit for company information while you are testing various types of storage solutions. Whether you need a short-term rental or a long-term lease, we have the right kind of server for your needs.